On Sept. 28 a week of student protests calling for universal suffrage in Hong Kong swelled dramatically in size, as the Occupy Central movement joined the students and suddenly tens of thousands of ordinary citizens choked the streets. 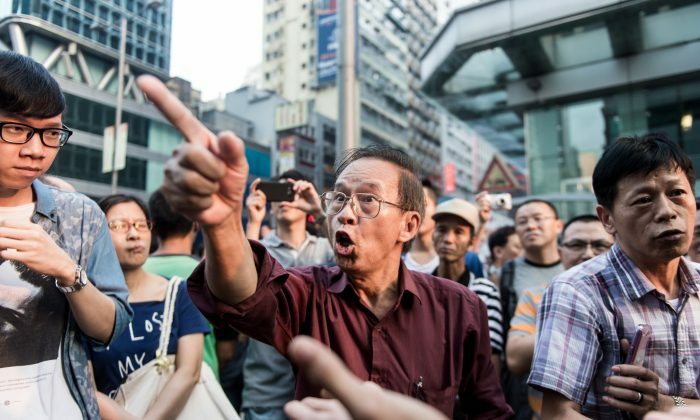 Newspapers in democratic nations around the world applauded the demonstrators, and called for restraint by Hong Kong authorities and democracy for Hong Kong’s citizens. The list of complaints the article makes about the democracy movement would be at home in the Chinese Communist Party mouthpiece People’s Daily. A 2001 article in the journal China Brief, “How China’s Government Is Attempting to Control Chinese Media in the United States,” lays out in detail how the Chinese regime has attempted to directly control Chinese-language media outside China through purchase, or used economic power to gain influence over their editorial content, or bought advertising to gain influence, or infiltrated the regime’s own journalists into the staff of independent newspapers. “The statement these papers published about Occupy Central means nothing. Whatever these papers say means nothing,” Yang said. They are the government’s voice. And so that surprises no one. Below is the list of newspapers that published the statement condemning Occupy Central (English-language names to come).